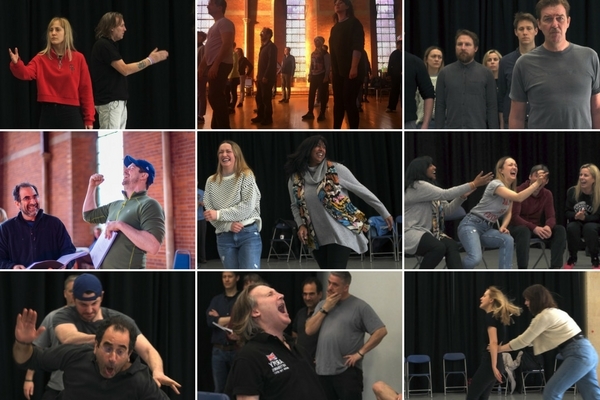 Such enthusiasm for the piece is indicative of both the commitment of this company of soldiers and actors and the importance of the subject matter. How can the arts help to heal PTSD? SOLDIER ON is written and directed by Jonathan Guy Lewis, himself an ex-soldier (and a one-time star in the TV series Soldier, Soldier), and inspired by and loosely based on his experience running a workshop with veterans. It’s presented by the Soldiers Arts Academy, which was founded by Amanda Faber in 2013 to help retired service personnel adapt to new circumstances by engaging in the arts. 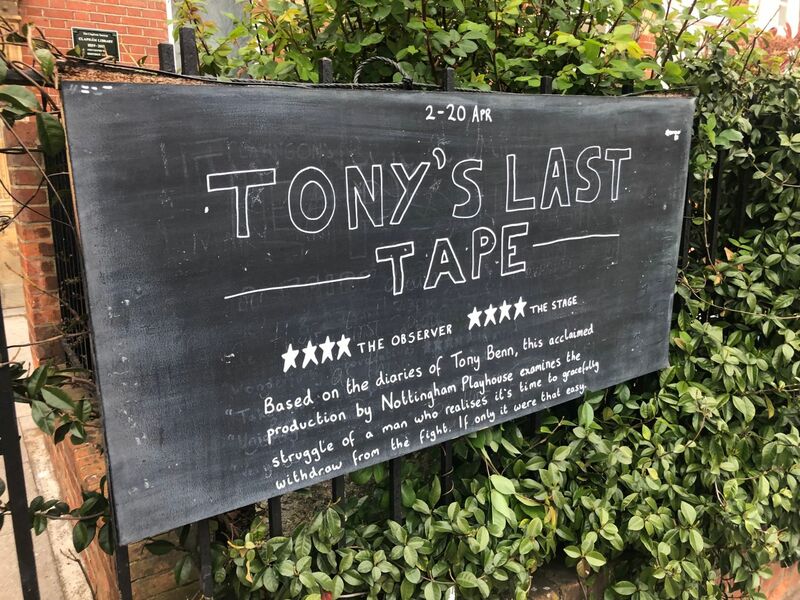 The play lifts the lid on Britain’s often overlooked and broad military community – the partners, parents and children as well as the servicemen and women themselves – and the incredible strain that combat places on them and how that strain is intensified when they leave the military ‘family’. 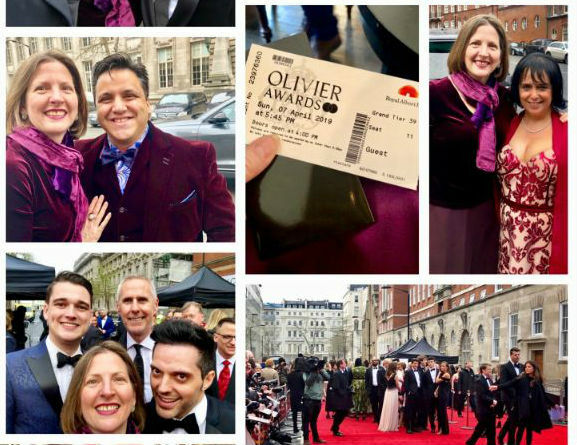 What happens when a company of ex-soldiers becomes a company of actors? A theatrical band of brothers. On a personal note, my father – who I’ve previously blogged about – is a veteran. He served thirty years in the US army, including three tours of duty in Vietnam. I grew up on army posts, in the bosom of the military family. I identified very strongly with SOLDIER ON and appreciated the acknowledgement that the military encompasses more than just those who wear the uniform. 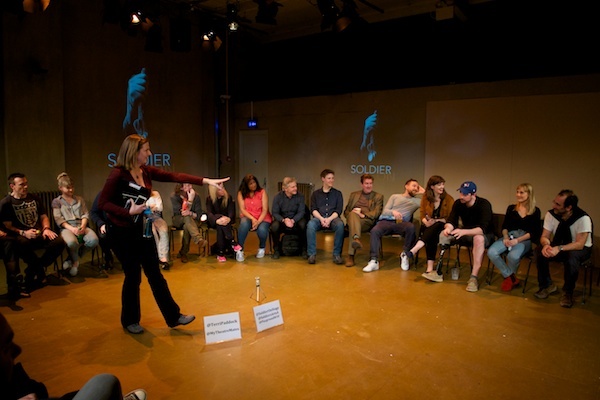 This premiere production of SOLDIER ON puts the play’s premise into action with a cast that includes, performing alongside professional actors, ex-soldiers with experiences in a range of conflict zones. They can, and did, personally testify to the healing power of the arts. 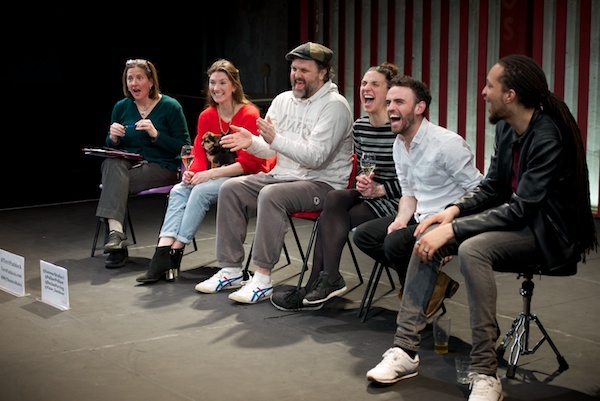 For last night’s Q&A, I was joined by writer/director Jonathan Guy Lewis, producer Amanda Faber and, filling up that stage, the full SOLDIER ON company: Nicholas Clarke, Thomas Craig, Mark Griffin, Max Hamilton-Mackenzie, Lily Howkins, Rekha John-Cheriyan, Shaun Johnson, Mark Kitto, Cassidy Little, Lizzie Mounter, Steve Morgan, Ellie Nunn, Mike Prior, David Solomon, Hayley Thompson and Zoe Zak. Scroll down to listen to the full Q&A podcast below, and view event photography, plus related videos and live-tweeting. SOLDIER ON continues at London’s Playground Theatre until 31 March 2018, and then visits York Theatre Royal (4-7 April) and the North Wall Arts Centre, Oxford (19-20 April). For more information and to donate, visit www.soldierontheplay.com. 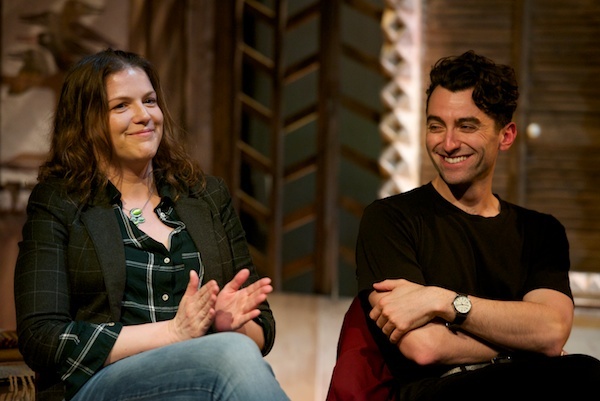 On the morning of the Q&A, Jonathan Guy Lewis and cast member Cassidy Little were interviewed on BBC Radio 4’s Today programme, where Cassidy also filmed this clip for the show’s producers. See MyTheatreMates for a gallery of behind-the-scenes photos with the full company of Soldier On. 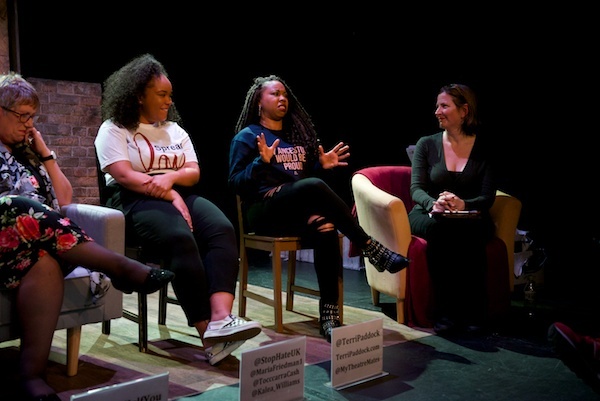 Curtains Q&A photos and tweeting: Are we all entitled to a 'decent death'?